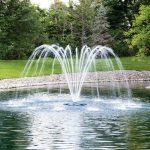 Product Links - Lake and Pond Solutions, Co.
AIRMAX AERATION AND FOUNTAINS – The 1/2 HP EcoSeries floating fountain showcases beautiful industry leading spray patterns that outmatch other 3/4 HP and 1 HP fountains. It is easy to assemble with an asynchronous energy efficient motor. New larger fountains coming in 2019. AQUAMASTER FOUNTAINS AND AERATORS – Units are available in both 60 and 50 Hz, from 1/2 HP to 25 HP, in which ever voltage required. With thousands of successful projects around the world, Aquamaster knows you’ll be pleased with the performance of their units in your lake or pond. KASCO MARINE, INC. – As a family owned company, Kasco has offered world-leading water quality solutions since the very beginning. Today, they provide fountains, surface aerators, diffused aerators, de-icers, and circulators to countless aquatic industries, all with the goal of improving your water quality and moving your water forward. 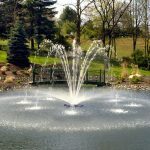 OTTERBINE BAREBO, INC. – Family owned and operated, the company has been leading the world in pond and lake management for more than 60 years. The Barebo Family takes pride in the fact that their products help to make the world a better place through clean water. They offer fountain aeration ranging from 1/2 HP to 25 HP in size.